Viberzi, a medication indicated to treat IBS-D (irritable bowel disease with diarrhea), may cause pancreatitis in patients who have had their gallbladder removed. Since its approval in 2015, Viberzi has been linked to more than 100 reports of pancreatitis, including some that resulted in hospitalization and death. Viberzi patients who were diagnosed with pancreatitis may be entitled to compensation for their medical bills and other injury-related damages. If you or a loved one were diagnosed with pancreatitis while taking Viberzi, please contact the national law firm of Bernstein Liebhard LLP to determine whether or not you have a valid claim. Free Viberzi lawsuit reviews can be obtained by calling our office (888) 994-5118. In March 2017, the U.S. Food& Drug Administration (FDA) warned that Viberzi (eluxadoline) should not be used in patients without a gallbladder. In less than two years on the market, the drug had been linked to 120 reports of serious pancreatitis and two deaths. Of those, 56 involved patients without a gallbladder. Both deaths occurred in individuals whose gallbladders had been removed. 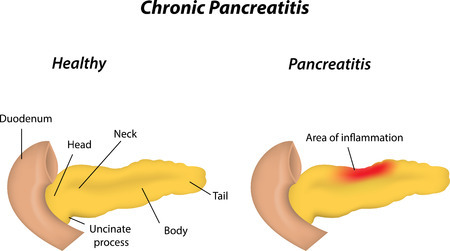 Some of the cases of pancreatitis and death occurred after just one or two doses of Viberzi, while pancreatitis also occurred after prolonged use. One of the fatalities was associated with severe pancreatitis. The other occurred in a patient who experienced a spasm of the sphincter of Oddi, a muscular valve in the small intestine that controls the flow of digestive juices to the gut. The pancreatitis victim experienced severe abdominal pain, nausea and vomiting within an hour of taking Viberzi. The pancreatitis victim died within 3 days of their first dose of the drug. The FDA has advised patients to stop taking Viberzi right away and get emergency medical care if they develop new or worsening stomach-area or abdomen pain, or pain in the upper right side of the stomach-area or abdomen that may move to the back or shoulder, with or without nausea and vomiting. The FDA has also urged patients to discuss ways to control IBS-D with their doctor, especially if they have had their gallbladder removed. Certain lifestyle changes, such as limiting certain foods, eating more slowly and not overeating, and avoiding carbonated drink, can help reduce symptoms. Doctors have been encouraged to consider alternative treatments for IBS-D patients who lack a gallbladder. Bernstein Liebhard LLP is offering free, no-obligation case reviews to individuals who were diagnosed with pancreatitis while using Viberzi. To discuss filing a Viberzi lawsuit on behalf of yourself or a loved one, please contact our legal team today by calling 888) 994-5118.